Murray the Race Horse: Fables from the Stables begins a great little series about horses, a topic many kids love. 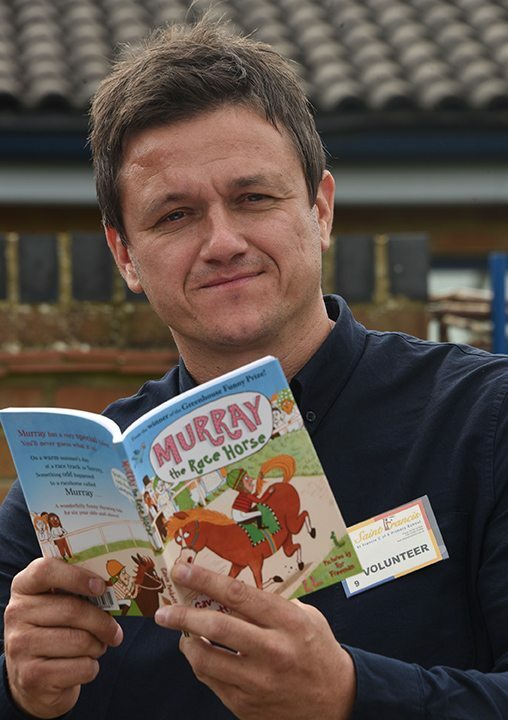 The Fables from the Stables series is aimed at children ready to leave picture books behind and wade into easy chapter books. All of the stories in the series are told in quick rhyme (similar to a limerick pattern) which adds to the humor and interest of the tale. 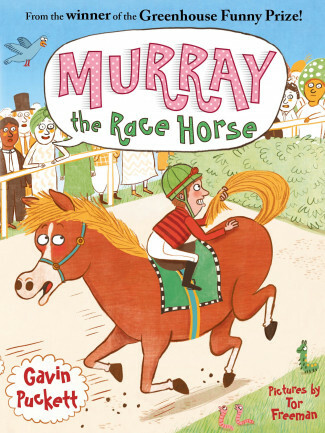 Although I investigated the other titles in the series, I only fully read Murray the Race Horse, which contains many subject-specific vocabulary words as well as a nice blend of age specific vocabulary. I suspect this is probably true of the entire series. The story was fun, quick, and engaging. 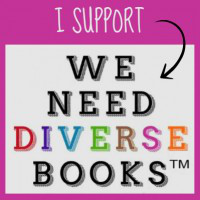 I think it would be a strong choice for reluctant readers in 3rd or 4th grade also. Definitely a good addition to an underrepresented section of children's literature (early reader chapter books). 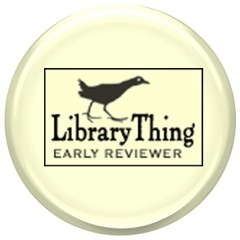 Recommended for grades 1-3 classrooms and elementary library purchase. 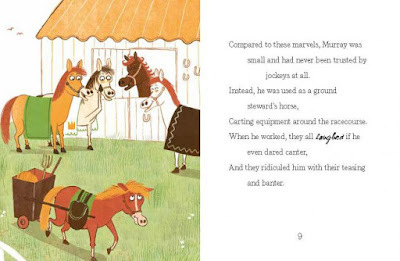 "Hilarious underdog story (about a horse) named Murray. Murray the horse dreams of winning big races just like the rest of his family, but he has one problem - he's just not that fast! When horse Ned Plumb twists his ankle at the start line, his jockey spots Murray in the crowd and says, "Fancy a race?" Murray finally gets his chance to shine and beat the neigh-sayers with a rather unusual race technique... 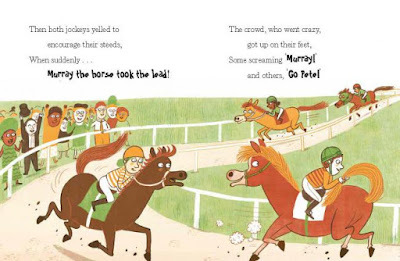 Written in verse, the accessible writing in Murray the Race Horse will charm boys and girls age 7-11 (and horse-lovers of all ages), and is complemented by Tor Freeman's hilarious illustrations, and has a great message about believing in yourself and following your dreams. 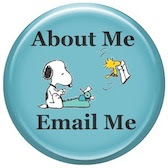 This series is a great step up from picture books - for readers who want to build their confidence, but are not quite ready for chapter books." Originality: Rhyming horse series..... hmmmm... can't think of another.